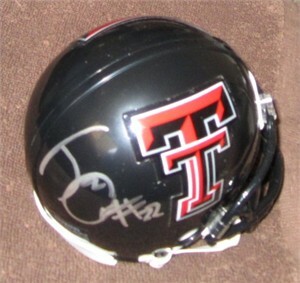 Texas Tech Red Raiders Riddell mini helmet autographed in thick silver paint by All America tight end Jace Amaro, a 2014 second round draft pick of the New York Jets. Obtained in person. With certificate of authenticity from AutographsForSale.com. ONLY ONE LEFT.